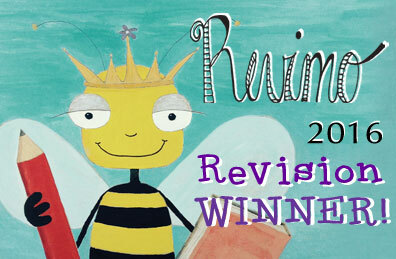 This entry was posted in Book Reviews and tagged book reviews, children's books, kid lit, Mo Willems, raising readers. Bookmark the permalink. 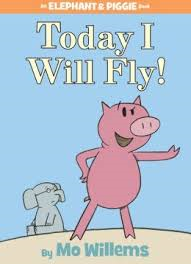 Agree that Mo Willem’s books are always a hit with young kids. 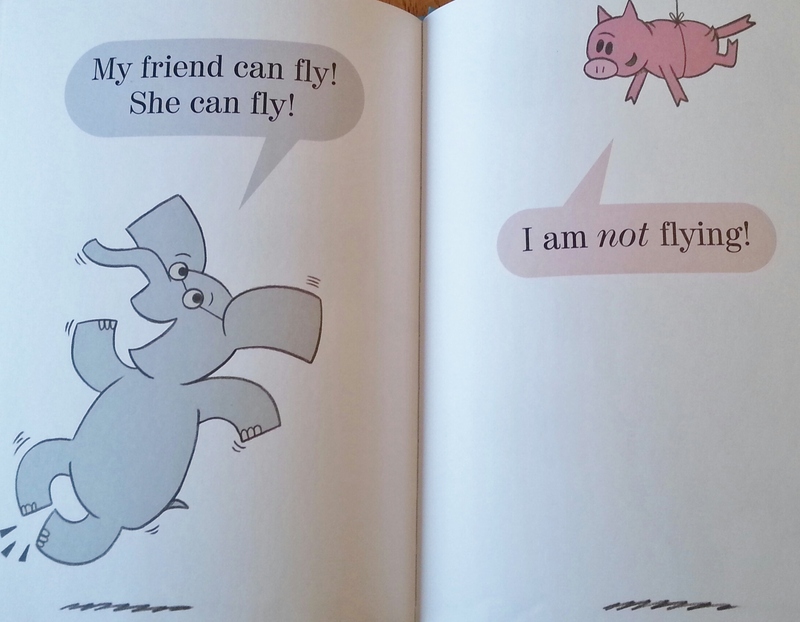 My children are much older than yours, so I discovered Mo Willems when he started his Pigeon Series. Loved them a lot too! The Pigeon books are fantastic! I pretty much love everything he does :). Love, love, love Piggie and Gerald. 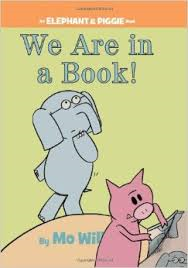 The books are so great for beginning readers. 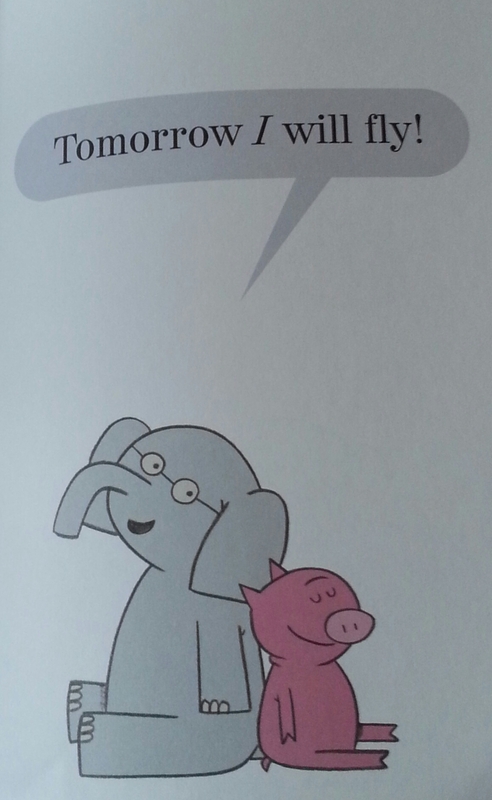 Pure and simple: Mo Willems is a genius. Yes! Yes! 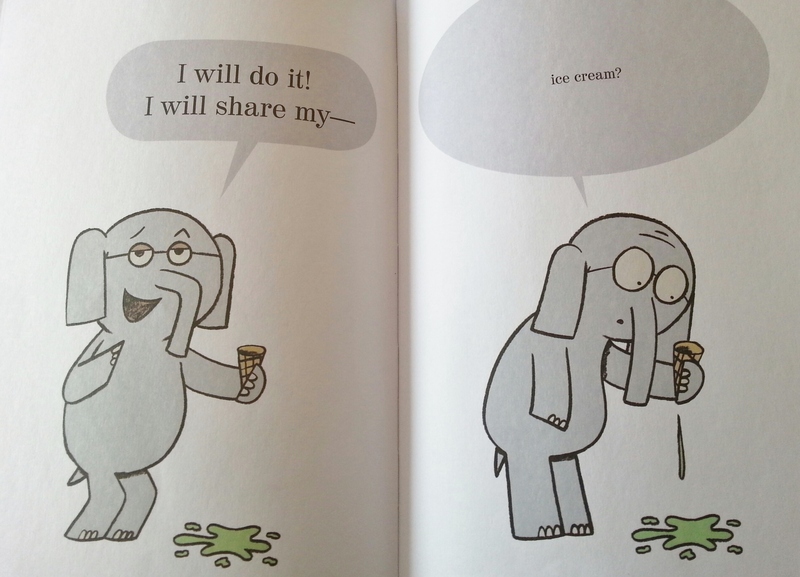 I wish I could write and illustrate like Mo Willems. 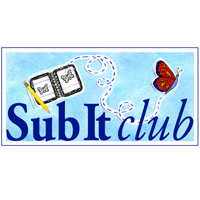 His books are great for my kids and helpful to me as a writer :). Ha! Ha! Hee! Hee! 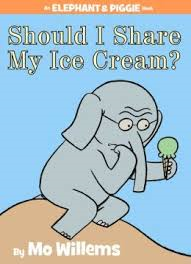 His books are hilarious. My son wouldn’t hesitate to share his ice cream. My daughter would never even consider it lol :). 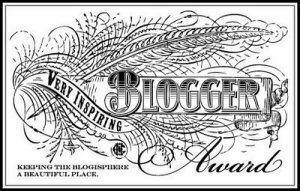 what a wonderful blog post! I enjoyed how Mason is part of the action, and the photographs of the illustrations. These are FUN! Thank you! I’m so excited that Mason enjoys reading. It makes my heart smile when he reads to Sophie. 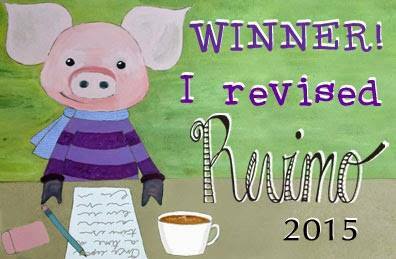 I think I will include the kiddos in more of my book reviews :). I’ve read KNUFFLE BUNNY: A CAUTIONARY TALE dozens of times and still love, love, love it. Also, can never get too much Pidgeon. 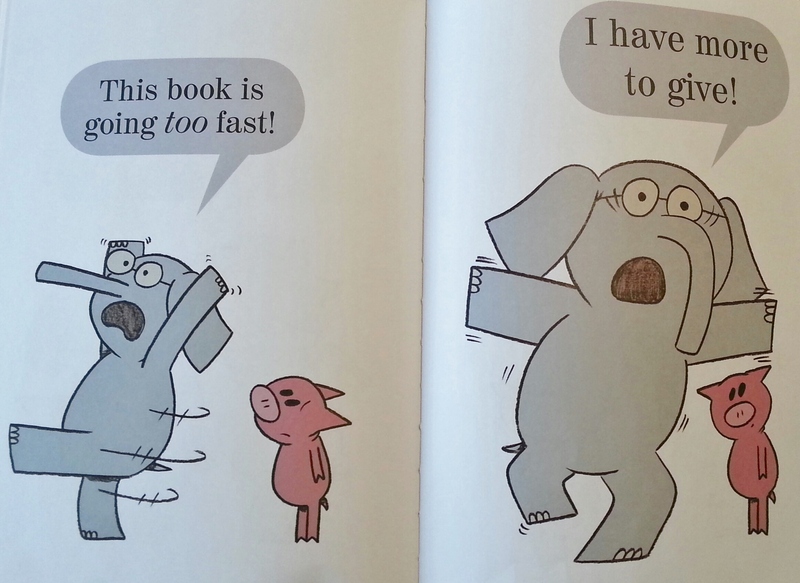 Mo Willems is a favorite. Knuffle Bunny is great! I love the Pigeon series, too! He creates amazing books. Thank you for sharing your favorites :). I don’t know why his books are so popular–maybe it’s because they are deceptivelysimple, which makes them so appealing. They remind me of the George and Martha books. 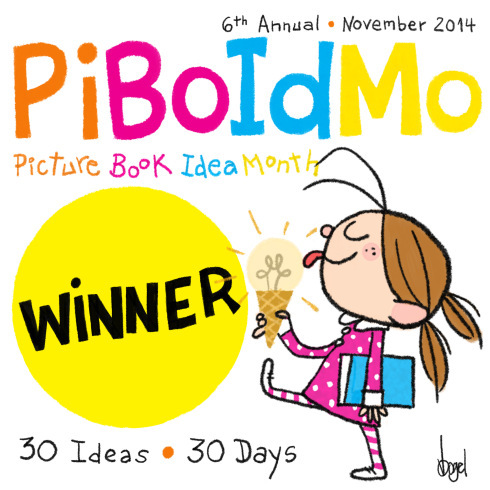 I actually got to hear Mo at a SCBWI conference right after he wrote the Pigeon Bus books. He is quite entertaining as a speaker. Lucky you! I would love to hear him speak! Wow…..this sure is a happy discovery for me….i am going to get it for my son too….thanks for the review….we are in the Fly Guy craze these days…..
I’m so glad you mentioned Fly Guy! We haven’t read those yet and I think my son would really like them! Yes….do read it….and this might interest you as well…. 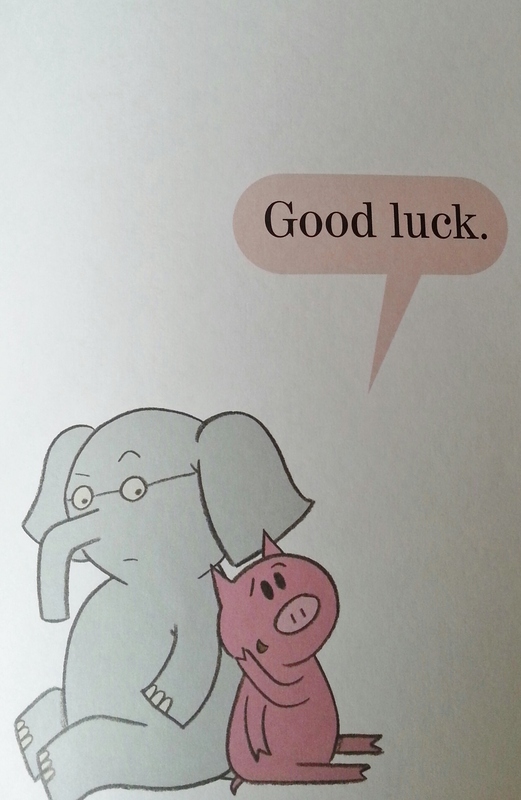 My sister is a huge Mo Willems fan, and she has definitely won us over by giving lots of birthday gifts of his books! 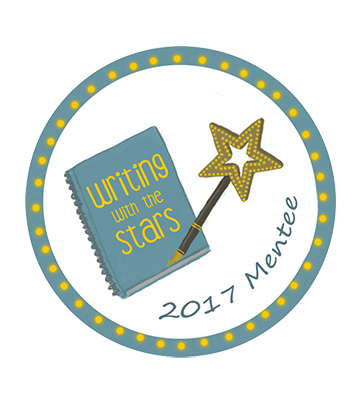 Thanks for sharing this at Booknificent Thursday this week! 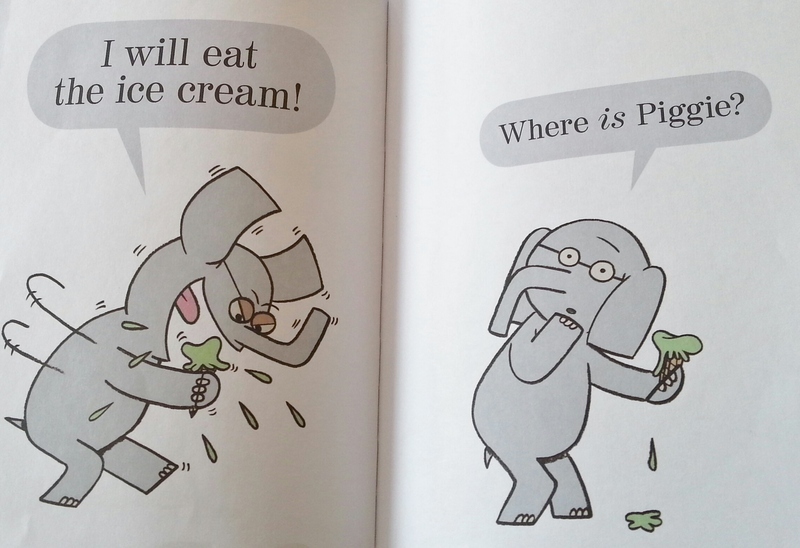 We are huge fans of Mo Willems and Elephant and Piggie series. It was the series that got my son reading! 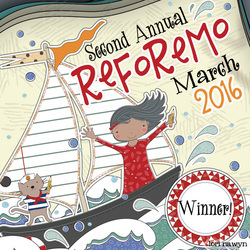 Thanks so much for sharing at the Kid Lit Blog Hop! How wonderful! 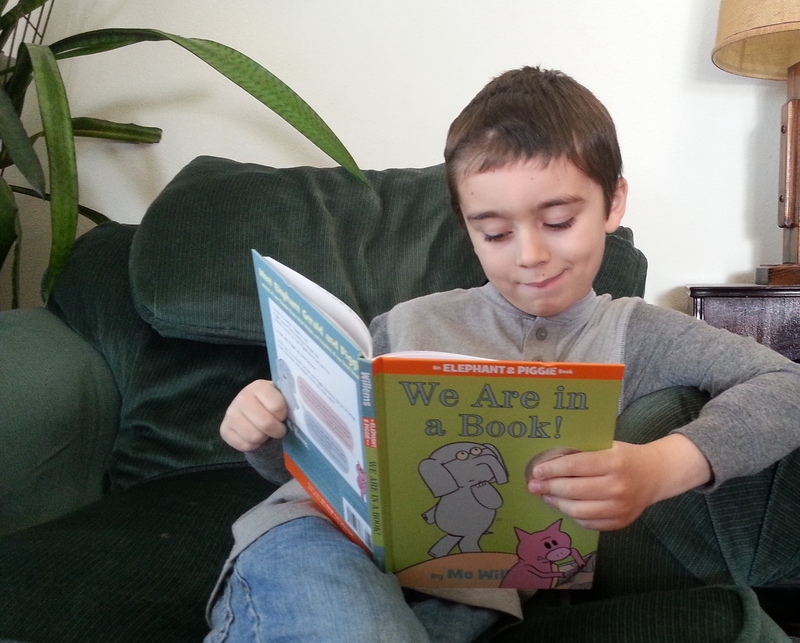 They have helped my son gain a lot of confidence with reading. They are so fun to read aloud! All of them! 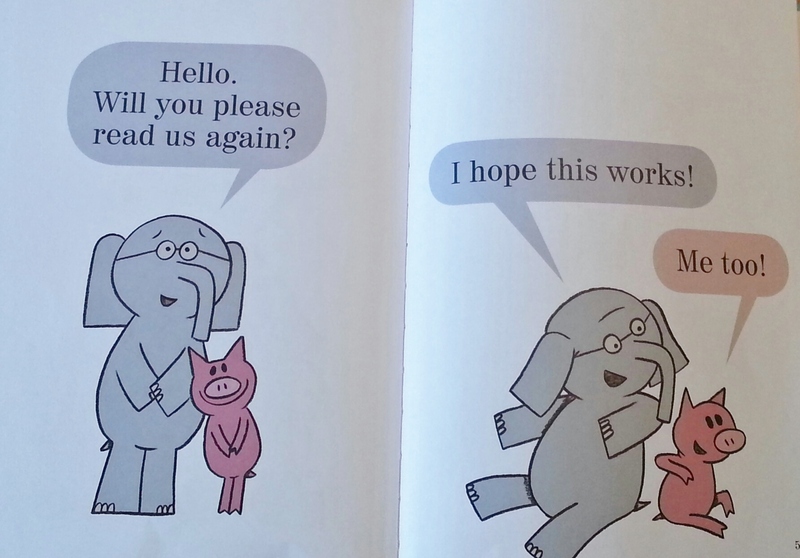 My daughter is 7 but she still absolutely adores the Elephant and Piggie books and will seek out the latest in the series. 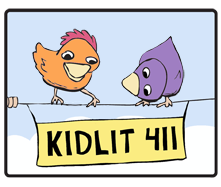 Hopping on over from KidLitBlogHop. Can’t go wrong with Mo books! Thank you for visiting. So happy to connect with you :). Stacking Books is a fabulous blog! Yes! 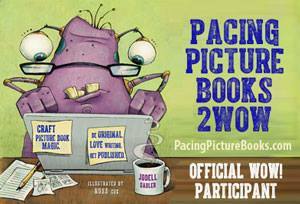 The Pigeon books are awesome! The Knuffle Bunny books are great, too! I’d love to read your post on the Pigeon series :). You should definitely write one! 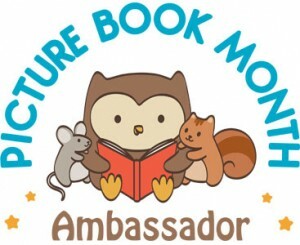 My family and I adore Mo Willems and especially enjoy reading aloud Gerald and Piggies! 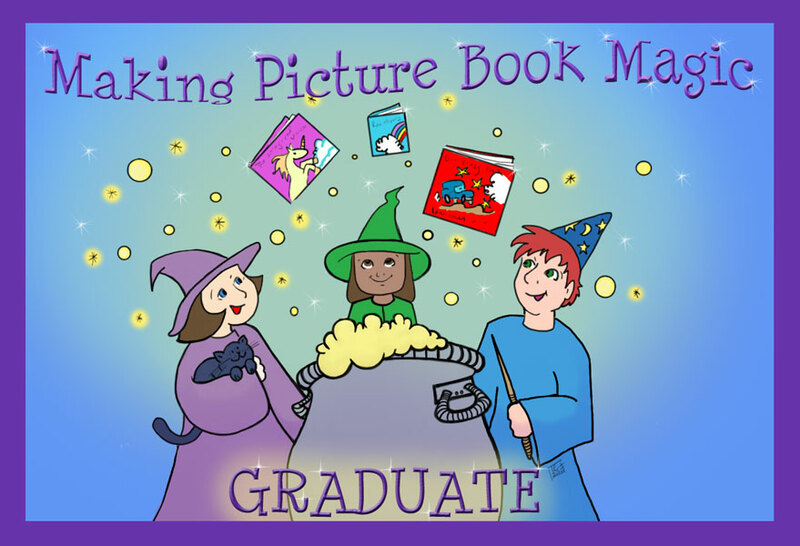 They are so enjoyable and fun, and my daughter gained confidence in reading herself by using those books to practice. 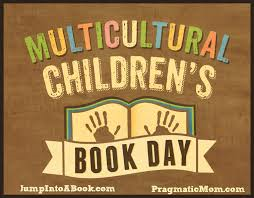 They are great books for beginning readers. My son gained a lot of confidence reading these books, too. He loves to shout the large words with exclamation points and whisper the small words :). The graphics are so fun in these books.